of products that unload multiple compartments by a pump system. It can be specified to accommodate bottom-loading, gravity-unloading and product return. 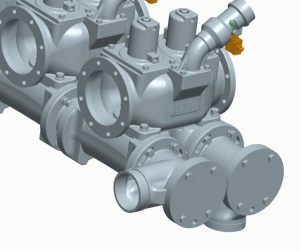 The dual bank configuration is designed for tanks equipped with a dual pump-off system. In this configuration, products can be unloaded through one of two bottom piping chambers. This prevents mixing of non-compatible fuels. Construction is aluminum with stainless hardware. The inlet/outlet flanges are 4” TTMA, and bottom chamber outlet is 3”. Product return threading is 2” NPT. Available options include a guard bar for safety and security, product return nozzles, and clear acrylic site glass connectors. 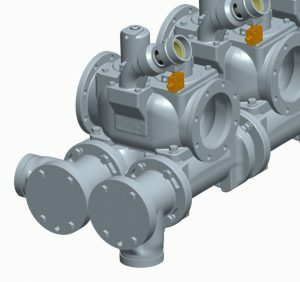 The manifold can be ordered with one to eight compartments, and the distance between the outlet flanges can be 14” or 11”. 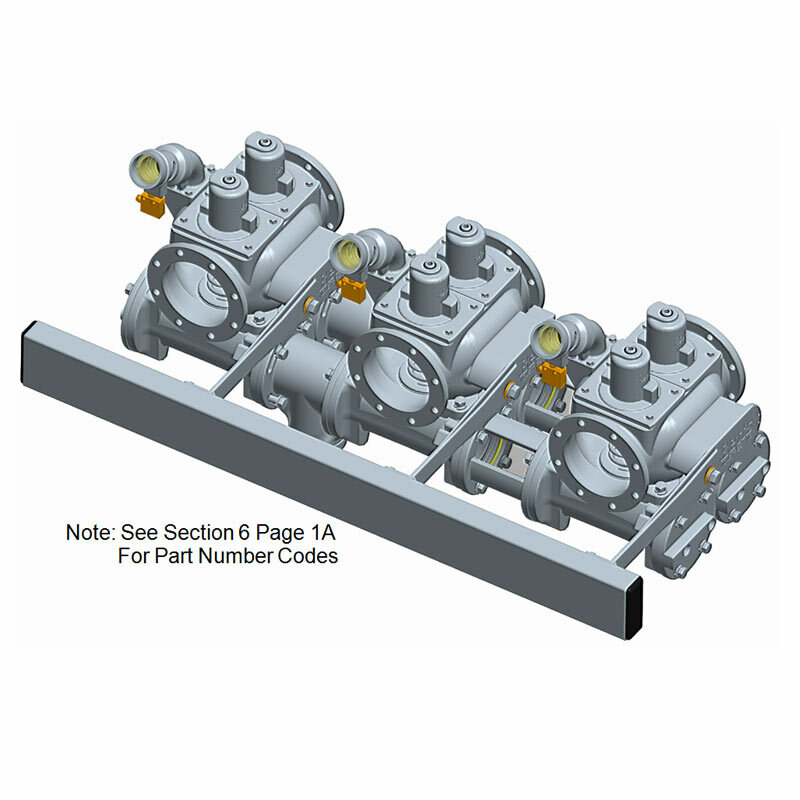 Manifold outlets are available as 3” flanged or grooved. API bottom loading adapters can be ordered with assembly. FKM ‘BLT’ is the standard seal, with fluorosilicone or FKM ‘GFLT-S’ available as options. 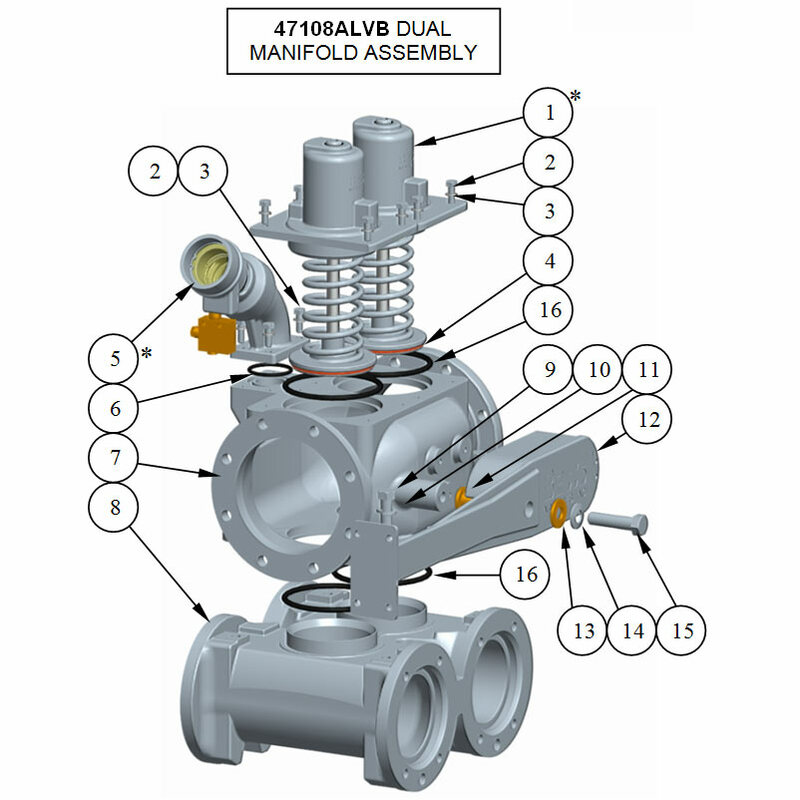 CAUTION: Manifold must be properly installed and maintained per maintenance manual MM-AM001. Failure to do so may result in damage to the tank and or manifold. Use only genuine Betts Industries Inc. replacement parts. Substitute parts can impair the proper function of this product. 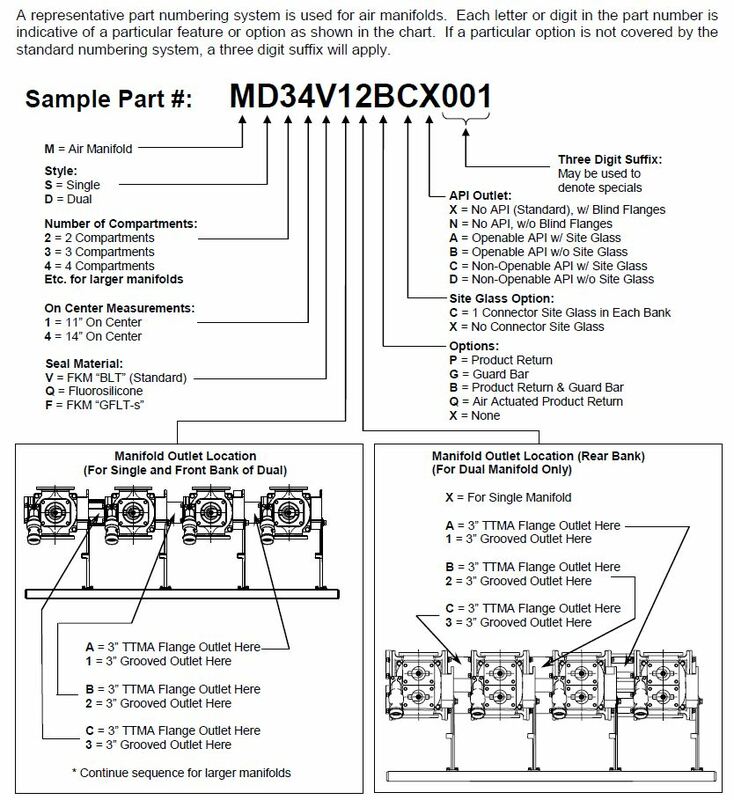 Some users may have the need for special outlet configurations not covered by the standard part numbering scheme. Betts offers many possible variations available directly from the factory, including straight end outlets and indexable drop end outlets (shown below on an 11″ manifold). Contact Betts Customer Service or Engineering for details.